In 1921, two young Americans meet in Verdun, the city in France where one of the most devastating battles of the war was waged. Tom is an orphan from Chicago, a former ambulance driver now gathering bones from the battlefield; Sarah is an expatriate from Boston searching for the husband who wandered off from his division and hasn’t been seen since. Quickly, the two fall into a complicated affair against the ghostly backdrop of the ruined city. Months later, Sarah and Tom meet again at the psychiatric ward of an Italian hospital, drawn there by the appearance of a mysterious patient the doctors call Douglas Fairbanks (after the silent film actor)—a shell-shocked soldier with no memory of who he is. At the hospital, Tom and Sarah are joined by Paul, an Austrian journalist with his own interest in the amnesiac. 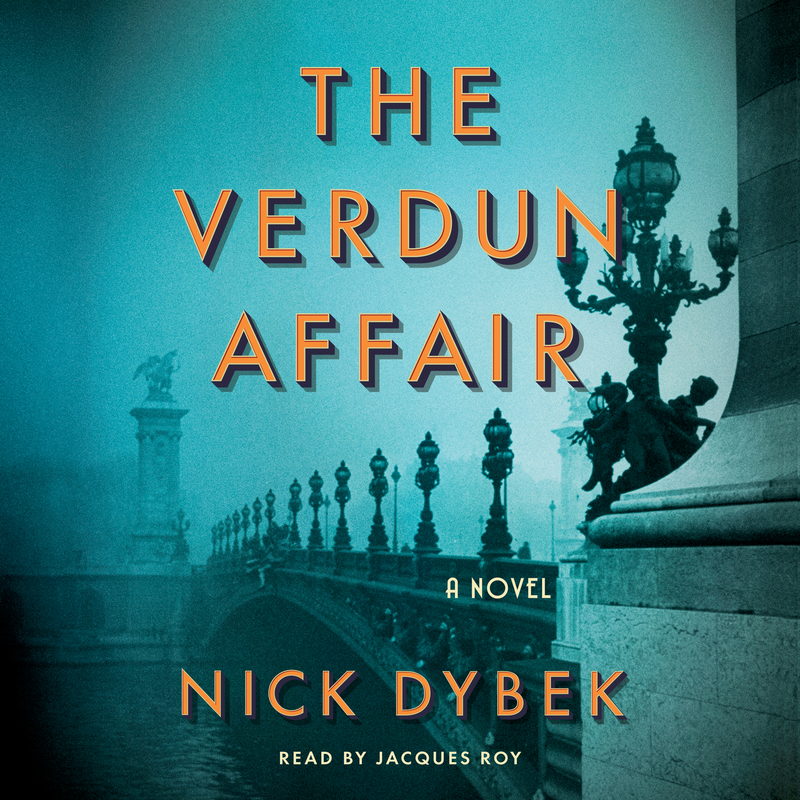 From the bone-strewn fields of Verdun to the bombed-out cafés of Paris, from the riot-torn streets of Bologna to the riotous parties of 1950s Hollywood, The Verdun Affair is a riveting tale of romance, grief, and the far-reaching consequences of a single lie. This reading group guide for The Verdun Affair includes an introduction, discussion questions, and ideas for enhancing your book club. The suggested questions are intended to help your reading group find new and interesting angles and topics for your discussion. We hope that these ideas will enrich your conversation and increase your enjoyment of the book. France, 1921—Tom, a young American orphaned in World War I, is helping comfort the grieving families who travel through Verdun, seeking answers about their loved ones. But nothing in his past—not his rough Chicago childhood nor his experiences driving ambulances across French battlefields—can prepare Tom for the arrival of Sarah Hagen. From the moment he meets her, a disarmingly magnetic woman looking for news of her missing husband, he knows he will help her in any way he can—even if that means crossing an unforgivable line. As their affair takes them across a fractured Europe careening toward World War 2, Tom and Sarah learn how love can be both a cure for—and a distraction from—the realities of a world turned upside down. But they can only hide from the truth for so long. When news of an amnesiac soldier in Bologna reaches Tom in Paris, he sets off as a journalist to uncover the story, only to find Sarah at the soldier’s bedside, hopeful as ever. Both are surprised to encounter an Austrian journalist named Paul with his own interest in the amnesiac. As they confront the past, Tom’s actions come back to haunt him, and each is forced to make a choice that will change their lives forever. A deeply transporting novel about love and identity, truth and consequences, The Verdun Affair is a page-turning and vividly imagined literary romance. 1. At the beginning of the novel, Tom is working in an ossuary in Verdun, sorting bones. How does this impact his understanding of the war? How does it affect his feelings toward the women he meets, searching for their husbands and sons? 2. When Tom first meets Sarah, she’s just caught a koi fish from the church’s pond in her purse. How does this set the tone for their relationship? 3. Why do you think Tom tells Sarah that he met Lee Hagen? 4. One day, collecting bones, Tom imagines the war experience of a man named Martin, whose mother once came to the ossuary to ask Father Perrin if her son, then dead, had ever received her letter. Tom imagines Martin’s childhood, swimming in the village lake; his adulthood as a stone mason; and then his time as a soldier, finally deciding that it “couldn’t be” (p. 36) that this man he imagined had died—that he must have been taken prisoner instead. What might be the purpose of Tom’s thought experiment? 5. Tom, reflecting on his experiences in World War I, quotes a famous line from Hemingway’s A Farewell to Arms: “Abstract words such as glory, honor, courage, or hallow were obscene beside the concrete names of villages, the numbers of roads, the names of rivers. Finally, only the names of places had dignity.” Why would these words (p. 41) resonate with Tom? 6. When Tom and Sarah visit a medium together, the woman conjures up a spirit—but not the one that they’re looking for. How do the themes of miraculous connection and false hope play out further in the narrative? 7. Before Tom, Sarah, and Paul meet Douglas Fairbanks, Tom hears of another famous soldier-turned-amnesiac, a man called Anthelme Mangin. The publisher of the newspaper where Tom works writes that this man rejects his identity because “in the age of industrial war, an identity can be stolen on the whims of strangers and at a moment’s notice” (p. 120). Do you agree or disagree, and why? 8. Why do so many mothers wait to see Douglas Fairbanks, knowing that he is almost certainly not their son? 9. Sarah believes men prefer a frightened woman. Paul believes men prefer a happy woman. Dr. Bianchi believes that women don’t have the freedom to express illness. How have women’s roles shifted since the 1921 portrayed in The Verdun Affair, and how have they stayed the same? 10. When Tom and Sarah travel together, they call themselves Mr. and Mrs. Tom Morrow. Do you see irony in this choice, or is it an expression of optimism? 11. In Los Angeles in the 1950s, why doesn’t Tom want “his” song to be written into a movie? 12. In a world where everyone is grieving, why do Paul and Sarah hold on to the specific hope of finding a single man—respectively, the man that wronged Paul and the man that Sarah married? What’s the relationship between forgiveness and vengeance in this novel? 13. After the riot in Bologna, Tom and Sarah find a group of boys whipping a cadaver with their belts (p. 257). What symbolic value does this action have? 14. The song Tom hears a soldier sing in Aix-les-Bains—the song he tells Sarah that Lee Hagen sang—ends with, “the perfect end to a perfect year.” How do the lyrics reflect the situation in Europe in 1921, as well as the three main characters’ experiences? 15. What do you make of Dr. Bianchi’s final treatment with Douglas Fairbanks? Why are Paul, Sarah, and Tom willing to see Douglas Fairbanks suffer? 16. At the very end of The Verdun Affair, with the glimmer of a new life before him, Tom remembers what it was like to drive an ambulance in combat during World War I (p. 291). Can you imagine why that image might come to him at that time? 1. Further research World War I by reading one of the books the author mentions inhis acknowledgments, such as A World Undone by G. J. Meyer or The Price of Glory by Alistair Horne. 2. Check out Nick Dybek’s first novel, When Captain Flint Was Still a Good Man. 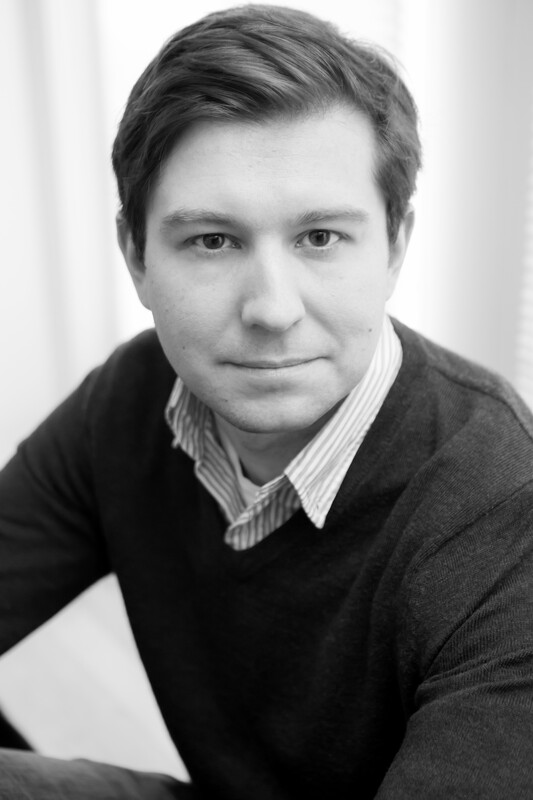 Nick Dybek is a recipient of a Granta New Voices selection, a Michener-Copernicus Society of America Award, and a Maytag Fellowship. He received a BA from the University of Michigan and an MFA from The Iowa Writers’ Workshop. He teaches at Oregon State University. He is the author of When Captain Flint Was Still a Good Man and The Verdun Affair.